So there I was… The last day of 2016. Man, it’s been a crazy year. Some of it was foreseen and some just crazy out of the blue stuff! All of it was life changing… all of it. Unfortunately we lost Timmy Wolf of Rhinocerotic. I never thought Id write anything like that but the year did take an upturn after that tragic event. 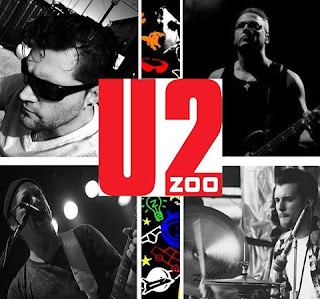 My wife and I started out as a couple, became a family in April with a trip to the Philippines, I was hired as the frontman of local tribute band U2Zoo, and was joined in that band by Don Hazlett from Rhinocerotic. Musically I haven’t had a lot of time to put out much as far as originals this year due to all these events but I hope to release some singles or a best of album next year. I’m excited to see what happens with U2Zoo particularly. Shows are being booked every month and in some interesting places. Turner Hall, Shank Hall, Lake Geneva, Summerfest, an airplane hanger, St. Patrick’s Day celebrations, and more… Should be wild year. Stay tuned and sign up at www.timkorry.com for updated info. Cheers!